The smell of fresh bread baking in your own oven. The thought of adding a dollop of butter to it, watching it melt and soak into the warm bread. Then biting into it and letting the warm, fresh bread melt in your mouth and fill your heart and tummy with that cozy comfort that only hot-out-of-the-oven, baked bread can bring. If you’ve never made bread before in your own kitchen, it’s never too late. In fact, you should bake some this week. Chances are the only thing you will need to buy is yeast, as all the other ingredients are common pantry staple items. 1. Use fresh ingredients that are at room temperature, except for the liquid, which is usually warmed. Follow recipe directions for warming the liquid. If eggs are called for in the recipe, be sure they have had time to come to room temperature. If you forgot to take the eggs out of the fridge, place them in a bowl of lukewarm water for a few minutes. If you store your yeast in the freezer, it’s best to let it warm up to room temperature as well, so that it can act most effectively and give your bread the soft and airy rise that you want. 2. Sift flour and then measure by scooping with a spoon into the dry ingredient measuring cup. Do not press the flour into the cup, as this will make you have more flour than you need. 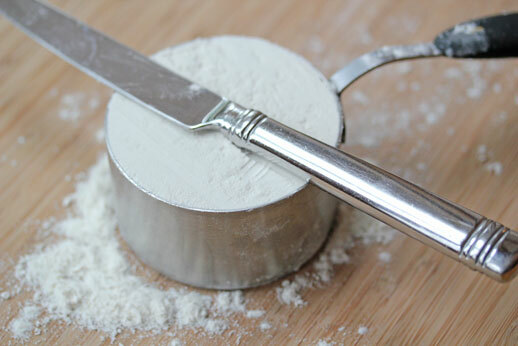 Scrape off excess flour by running a knife over the top of the measuring cup. 3. Knead the dough ball until it feels smooth like a baby’s skin. If the dough is sticking to your fingers, dip your fingers and palm in a little flour and sprinkle it onto the dough. Continue kneading and working the flour into the sticky dough until it’s soft. 4. Brush a little butter and sprinkle a little kosher salt on top of the dough before baking. This will add a little flavor boost to your bread loaf or rolls. 5. Bread Machine – Really? How will a bread machine make my bread more exquisite? Because it does some or all of the work for you. With our busy hectic lives, some days we could use a little help. A bread machine can mix up and knead the dough for you while you run out for errands. Then you can shape the dough into rolls or loaves that you can then bake. Your bread machine can also make the bread loaf for you. Follow the bread machine manufacturer’s directions for best results. My bread machine can be found here. If you’d like to give it a try, here is my “go-to” homemade whole wheat Italian bread recipe that I use in both my bread machine and when making by hand. Are you a homemade bread baker? What are some of your favorite types of bread to make?